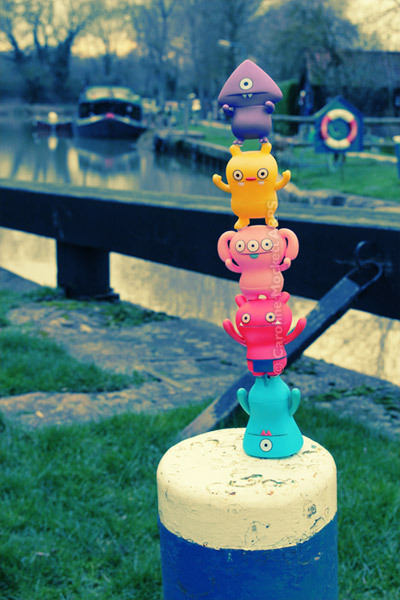 Wedgehead, Wage, Peaco, Jeero and Pointy Max decided to do a balancing trick today while we were out walking along the canal. They were a bit wobbly to start with but soon got the hang of it. 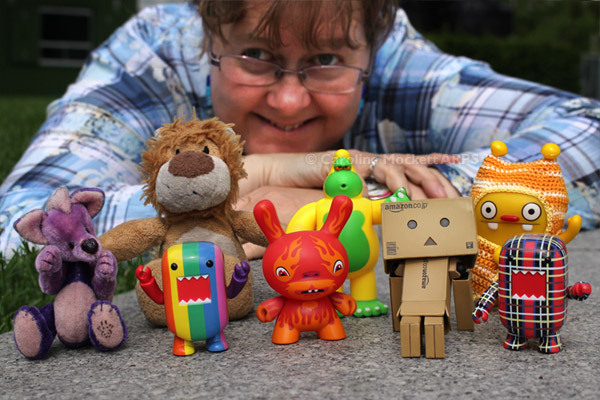 They make a great shot for this week’s Toybox52 theme – Cross Processed. Danbo, Wage and White Ken wanted to show you their silly Santa hats today. Ralf and Redlegs got in on the act as well.